WHERE Would You Love to Do It? HOW Do You Find Such a Job? The Myth of "The Job Market"
A number of years ago I visited the Aalsmeer Flower Market, in he Netherlands. This Market (technically called an 'auction') is the largest building in the world (by footprint), covering 10.6 million square feet, an area equal to 120 football fields (or 100 soccer fields! And you can stand on a catwalk, looking down on much of it. I have never forgotten the sight. 20 million flowers and 2 million plants are auctioned or sold there daily. I was told at the time – and being of simple mind, I believed it – that Aalsmeer was the only flower market in all of Holland, and that to this central market each day came every flower that was to be sold in the Netherlands, and to this central market each day came every wholesale buyer (or shipper) who wanted to buy flowers in the Netherlands. Unfortunately, it turned out not to be true. 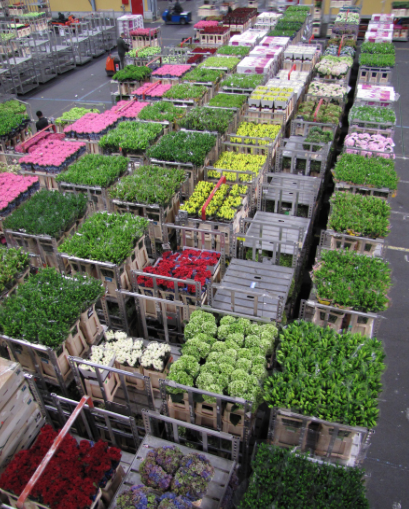 Though Aalsmeer is the largest to be sure, there are actually seven flower markets (which is to say, 'auctions') in the Netherlands. But never mind. The fantasy that there was but one central flower market for all of Holland, had been indelibly burned into my mind, forever. When, some years later, I came into the field of job-hunting and career-change, I kept hearing the phrase "the job-market," and I always thought of Aalsmeer. Or my fantasy about Aalsmeer. Great! As with Flower Market, so with Job Market. Maybe there is one central market in the world, where everyone who is looking for a job and everyone who has a job to offer, comes. One central place where they all could come, and meet and find each other! Alas! The phrase "the job-market" is a merely a poetic metaphor, that exists only in some poet's head. There is no real "job-market" – not in the sense of that Holland flower market, as I first understood it. There is no catwalk anywhere – metaphorical or otherwise – that look down on all the jobs to be sold, and all the potential buyers of those jobs, in one central meeting place. Rather, in real life an employer can go out the door, and walk up and down the streets, looking for a certain kind of employee, while some job-hunters who exactly matched that description can pass them right by, on the street, and they will never know how close they came to each other. They have no meeting place, except perhaps on "job-boards" or employers' own site. And there are so many of those, that an employer may be looking in one place, while a job-hunter is looking in another. "And never the twain shall meet." It would be nice if there were but one meeting place. But there is not. 1. Every job now is a temp job. That is, 'of uncertain length.' 90 percent of the workforce in the U.S. is not self-employed; so, you are probably working for someone else. And how long that job lasts will be up to them, and not just you. If they so will it, your job may end at any time, and without warning. Even if you are self-employed, your job may end at any moment, if your customers prove fickle, and flock to another vendor. The question in any case: will you be ready for the next job when this current temp job of yours fails? 2. Every job now should be regarded essentially as a seminar. If you have a job, the question is: what are you learning there? Of course you want this job to put bread on the table, clothes on your back, and a roof over your head, plus give you a sense of satisfaction and accomplishment. But. Almost every job today is moving and changing so fast, in its very nature, that you must think of this job as exactly like enrolling in a seminar. There is a lot you have to learn, when you first begin, there, and throughout the time you are there. You must not only be ready to learn, but eager to learn. Prize the job for its learning. 3. Every job now should be regarded essentially as an adventure. If you are working in an organization of any size, it is very likely that the dramas which get played out there, daily, weekly, monthly, rival any soap opera that is on television today. Power plays! Ambition! Rumors! Poor decisions! Strange alliances! Betrayals! Rewards! Sudden twists and turns that no one could have predicted ahead of time, will unfold before your very eyes. Sure you can get bitter about it all. But since most of us love adventures, why not think of it as an adventure! Hang on to its every twist and turn. Pretend you're in Congress. 4. Every job that you choose now should be one where the satisfaction lies in the work itself. Despite your best research during your job-hunt, you may have ended up in a job where your bosses fail to recognize or acknowledge the fine contribution that you make, leaving you feeling unloved and unappreciated. They may fail to give you a raise, or at least the raise you believe you deserved. They may fail to give you the promotion you were hoping for, even passing you over for another. And, to add insult to injury, they may suddenly let you go, and without warning, citing a business turn-down, the need for 'new blood,' bankruptcy, merger, or the full-moon. In other words, you are getting none of the future rewards you were hoping for, when you signed on. Well, future rewards can't be counted on, in most jobs today. So, where should you look for rewards? I reply, simply, "In the very doing of the work." Be sure it is work that uses your highest skills, work where you take pleasure in the very doing of the tasks that job requires. Where you are working with people you really like. Present rewards. And if your present job doesn't give you that, better start thinking about moving to a job that does. So there you have it, the four basic words or phrases to describe "the job-market" of today, if there were one job-market. (must be found in the work itself.) Paste them on your mirror. Look at them each morning while you're getting dressed. And start preparing for your next job-hunt the day you began your present job. Close your eyes and dream. Open your eyes and prepare. In his book, "Data Smog: Surviving the Information Glut," author David Shenk argues (cogently) that whereas information was once something we just couldn't get enough of, now we are all drowning in too much information. Of course, David isn't the first to make this point. That honor belongs to Ecclesiastes in the Old Testament: "Of making many books there is no end, and much study is a weariness of the flesh." 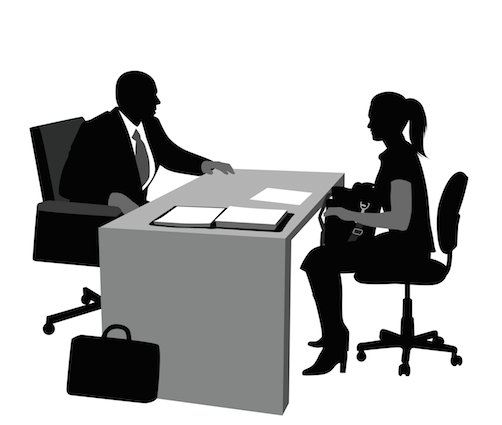 Which brings us to our subject for today: the job interview. What a superb example of David's (and Ecclesiastes') point! Go look in any book superstore, and you'll drown in information about the job interview. It divides, predictably, into Before, During, and After. Do an inventory of your skills, knowledges, and traits, before you go to any interview. Figure out what makes you different from 19 other people who might be applying for that same job. When you're ready to go out on job interviews, don't just look for places that have known vacancies. Approach any organization that interests you, even if you have to walk in off the street. Research your 'targets' ahead of time, thoroughly, in a library or on the Web. Once you've chosen your target(s), use every personal contact you have, rather than resumes, to get in to see the-person-who-has-the-power to hire you for the job you are interested in (that's not likely to be the human resources department). Always remember you are coming to the interview as a potential resource person for this employer, not as a job beggar. Keep in mind that the only purpose of a first interview is to be invited back for a second interview. Know what you want to ask about the place, and the job. Plan on doing 50% of the talking, and let the employer talk 50% of the time (or more). Never bad-mouth a previous employer or a previous place where you worked. Your answer (to any question) should be no longer than two minutes; it can be as short as twenty seconds. Don't run on and on! Take into the interview room with you any evidence you have of past accomplishments. (An artist, for example, has his or her portfolio. A computer programmer has a printout of programs they have written.) You'll know whether to use this evidence or not. What is it about this place that attracted you? What do you have to contribute to what we do? What distinguishes you from 19 other people who can do this same job? Never do salary negotiation until – in the second, or third interview – they have definitely said they want you. Always let the employer name a figure first. Always write a thank you note the same day, and send it to the employer. Always. (Get their card, while you're there.) Also send one to any secretary or receptionist who helped you. Being able to do the job well will not necessarily get you hired. The person who gets hired is often the one who knows the most about how to get hired. Hopefully, this crash course has helped make you that person. Some people are just naturally good at job-hunting, or changing careers. It's no mystery why. As Howard Figler points out in his book, The Complete Job-Search Handbook, the job-hunt requires four families of skills: skills at selling themselves, communication skills, self-assessment skills, and detective skills. Now, since some people have jobs that demand those very same skills, if they are good at their job, they will be good at job-hunting. Same skills required, in both places. Natural-born job-hunters have a head start on the rest of us; but of course, the rest of us can always learn those skills – selling, communication, self-assessment, and detective work – that those others already possess. If you aren't a natural-born job-hunter (or career-changer) in the beginning, you can sure learn how to be. The tools are at hand. All you need is the determination to master them! You can begin to learn sell-assessment skills by doing (not just "reading") chapter 7 of What Color Is Your Parachute? 2015 edition. Now, some additional thoughts I'd like to share about that last group—detective skills.. I always thought it fascinating that my original mentor in this field, John C. Crystal, was a major in economics (from Columbia University) and a former American spy, who operated behind enemy lines in Italy during the second World War. His job was intelligence; to find out as much as he could. I found it interesting that, as an expert in the job-hunt, he not only had great knowledge of economics (which one would expect) but also detective skills. That. upon reflection, started to make a lot of sense to me. If the job you are applying for involves delivering packages, or working in gardens, you probably won't need detective skills very much, at least to get hired. But if the job is more complex, or the organization is, they will hire you because they not only believe you are capable, but more specifically because they believe you can help them solve one of the problems they were wrestling with, before you ever walked in the door. Therefore, and especially where you are competing with nineteen other equally qualified candidates, you will want to have some idea of what that organization's problems, challenges, needs, etc. are, before you go in there for an interview with that all-important person (there) —: the person-who-has-the-power-to-hire-you-for-the-job-you-are-interested-in. That may take some detective work. If you have detective skills, you will be way ahead of the bunch. Bingo! So, here are a couple of thoughts, about using those skills. When job-hunting for complex jobs in complex organizations. 1. In most cases, your task in the interview is not that of educating your prospective employer about a problem they didn't know they had; rather it involves your finding out what need or challenge or problem they are already well-aware of. And bothered by. Your job is more akin to mind-reading —their minds — than it is to educating them. Sure, if you're real good at finding out stuff, you may have uncovered – during your research – some problem that the-person-who-has-the-power-to-hire-you is absolutely unaware of. For example, in your research you may have uncovered the fact that, "Gosh, this firm has a huge public relations problem; I'll have to show them that I could put together a whole crash P.R. program." That's the problem that you think the-person-who-has-the-power-to-hire-you ought to be concerned about. And you may be convinced that this problem is so crucial that for you even to mention it will instantly win you their undying gratitude. "I met with the VP, Marketing, in a major local bank, on the recommendation of an officer, and discussed with him a program I devised to reach the female segment of his market, which would not require any new services, except education, enlightenment, and encouragement. His comment at the end of the discussion was that the bank president had been after him for three years to develop a program for women, and he wasn't about to do it because the only reason, in his mind, for the president's request was reputation enhancement on the president's part ... "
Interoffice politics, as in this case, or other considerations may prevent your prospective employer from being at all receptive to Your Bright Idea.. Your detective work has got to be devoted rather to finding out what already has motivated them to decide to hire someone for the position you are interested in. What problem is bugging them so much that they decided they need help. 2. 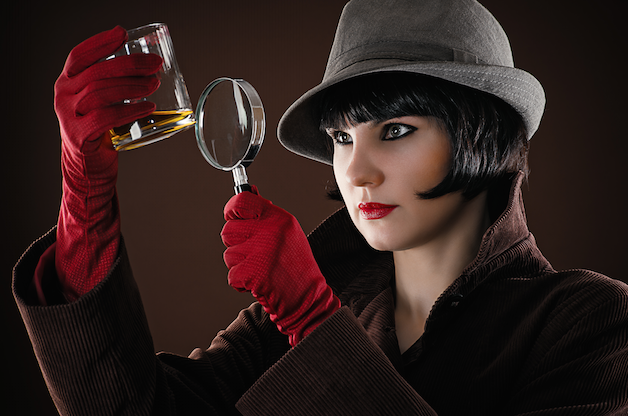 Your detective skills don't need to discover the huge overarching problem that organization is wrestling with. That's probably beyond the scope of one man or one woman. You only need to discover the problem or problems that are bugging this person who has the ultimate power to decide whether to hire you or not. Conscientious job-hunters always bite off more than they can chew. If they're going to try for a job at the Telephone Company, or IBM or the Federal Government or General Motors or – like that – they assume they've got to find out the problems facing that whole organization. Forget it! Your task, fortunately, is much more manageable. Find out what problems are bugging, bothering, concerning, perplexing, gnawing at, the-person-who-has-the-power-to-hire-you. This assumes, of course, that you have first identified who that person is. Once you have identified her, or him, find out everything you can about them. The directories will help. So will the clippings, at your local library. So will any speeches they have given (ask their organization for copies, of same). If it's a committee of sorts that actually has the responsibility (and therefore the power) to hire you, you will need to figure out who that one individual is (or two) who sways the others. You know, the one whose judgment the others respect. How do you find that out? By using your contacts, of course. Someone will know someone who knows that whole committee, and can tell you who their real leader is. It's not necessarily the one who got elected as Chairperson. Often what's bothering this person is the day-to-day friction he or she had with the people they had (or have) to work with. If the job you are aiming at was previously filled by someone (i.e., the one who, if you get hired, will be referred to as "your predecessor"), the problems that are bothering the-person-who-has-the-power-to-hire-you may be uncovered simply by finding out through your contacts what bugged your prospective boss about your predecessor. "I never could get them to keep me informed about what they were doing"; etc. Sometimes, it's as simple as that. You may think they should be bothered by much larger issues. But, in actual fact, what they may be mainly concerned about is whether (unlike your predecessor) you're going to get to work on time, take assigned lunch breaks, and not be out sick too often. Don't overlook the Small, Simple, and Obvious Problems which bug almost every employer. Then demonstrate, in every way you can, that you are one who is free of those kinds of problems or knows how to solve those kinds of problems. By the way, most of the-people-who-have-the-power-to-hire-you for the position you want, do not like the word "problems." It reminds them that they are mortal, have hang-ups, haven't solved something yet, or that they overlooked something, etc. "Smartass" is the street-word normally reserved for someone who comes in and shows them up. (This isn't true of every employer or manager, but it's true of altogether too many.) Since you're trying to use their language, you should probably speak of "an area you probably are planning to move into" or "a concern of yours" or "a challenge currently facing you" or anything except: "By the way, I've uncovered a problem you have." Use the word problems in your own head, but don't blurt it out during the interview with your prospective employer, unless you hear them use it first. Postscript: In the interview, your job is to express your skills, experience, and knowledge, in terms of the problems they are bugged by. That is, if you want to be the one person being interviewed there, who stands out from all the rest. Resumes, ah resumes! Or call them "CV"s. Whatever. How they are ever with us, in any talk about the job-hunt, whether in magazines, newspapers, or in books, or on the Internet.For the employer, the virtue of resumes is that they offer an easy way to cut down the time employers have to spend with job-hunters. It only takes a skilled human resource person about ten seconds to scan a resume (30 seconds, if they're really lingering), so getting rid of fifty job-hunters, I mean fifty resumes, takes only half an hour or less. Whereas, interviewing those fifty job-hunters in person would take a minimum of twenty-five hours. Great time savings! Resumes are obviously here to stay, if some employers have anything to say about it. For the job-hunter, resumes also appear attractive. After all, they offer an easy way to approach an employer. No maddening phone tag, no frustrating attempt to get an appointment with someone in authority, no taking the bus, or driving the car, or sitting in someone's outer office for a blue moon, only to be rejected after all of that. No, with resumes you just take a piece of paper, summarize your qualifications, and mail it to the organization, if you have a particular target in mind. Or post it on the Web if you have no target and you want to cast a wide net – an "Inter"Net. And voila! – so the myth goes – with your resume "out there," your job-hunt will take care of itself. Who perpetuates this myth? Well, job-hunting "experts" mostly, and job-hunting writers in particular: most of them emphatically tell you that a resume is the way to go. So, let's look at what is never discussed, namely, the three dangers of resumes. 1. They may never get read. "Employers" are not a united group: they are as diverse as a mob at the Super Bowl. 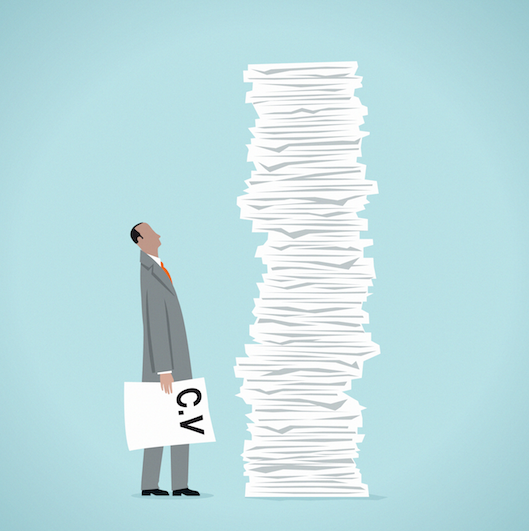 Many employers dislike resumes, some detest them. I run into such employers all the time. "Can't tell a thing about a job-hunter from his (or her) resume." So, especially on the Internet, the odds are terrific that your resume is not even getting read. Pete Weddle, who writes for the National Business Employment Weekly, got some resume sites on the Internet to tell him (last year) how many employers actually looked at the resumes on their sites. (Sit down, while I tell you the news.) A site that had 85,000 resumes posted: only 850 employers looked at any of those resumes in the previous three months before the survey. Another site with 59,283 resumes posted, only 1,366 employers looked at any, in the previous three months. Another site with 40,000 resumes, only 400 employers in three months. A site with 30,000 resumes, only 15 employers looked in, during the previous three months. So, you send out your resume or post it on the Internet, confident that employers are reading them, when – in a depressing number of cases – nobody is. 2. They may cause you to give up prematurely. Resumes may be a useful part of anybody's job-hunt, but they should never be your entire plan. You can send out tons of resumes, or post them on every resume site on the Internet, and not get a single nibble. The statistics are: only one job-offer is tendered and accepted, for every 1470 resumes floating out there in the world of work. Consequently, 51% of all job-hunters who base their job-hunt solely on mailing out or posting their resume, get discouraged, and abandon their job-hunt by the end of the second month. 3. They may wipe out your confidence in yourself. This is the greatest danger, by far, of depending on resumes. If it were just a matter of trying a job-hunting method that didn't work very well, it might be okay. You pick yourself up, and go on, still keeping a good self-esteem. But in fact, the danger of resumes is that if you believe in them, and they don't work for you, you start to think something is really, really wrong with you. And if some of your friends tell you their resume actually got them a job (not true: it only got them an interview), you may feel lower than a snake's belly. Many job-hunters never snap out of the depression and feeling of worthlessness that ensures. Every resume should carry a warning label: "Using this may be hazardous to your mental health." Given these three dangers, there is a better way to go: choose carefully the organizations that interest you (find them in the yellow pages), research them, in libraries or on the Internet, ask every friend you have if they know someone at that organization, and – using these contacts – get an introduction to the employer on the inside. It takes more work, but your self-esteem will end up riding high. I had been in this field (Career Change and Job-hunting) for about twenty-five years before I first came across this study. I don't recall who did the study, or where; but its findings were: There is a simple thing you can do at the end of a hiring interview, that will greatly increase your chances of being offered the job. And that simple thing is, at the end of the interview: ask for the job. The actual words don't seem to matter. It can be something simple, like: "Can you offer me this job?" Or something a little more elaborate, like, "I believe that I have both the skills and the experience to do the work we have been discussing, in a way that will benefit your organization a lot. Can you offer me this job?" Why asking this question should make such a difference, in terms of whether you are offered the job, or not, I have no idea. My guess would be that employers want to postpone making a decision just as long as they possibly can, but when put on the spot - - as, by your question - - they are perfectly capable of saying "Yes" or "No." Of course, I was interested in the book because it sounded like a rhapsody on the same theme of "asking." Barbara introduced her book by saying, "the real lesson of this book is that no matter what problem you have as a consumer, the chances are you can and will improve your lot if you only ASK." It is a book of stories, about what happens in situations where you think nothing can be done, but then you Ask! Her first story concerns banks. She had bought five year certificates at an interest rate of 5%. A little over one year later, the rate had climbed to 6.35%. She was irritated with herself that she had locked herself in at the lower rate (there were hefty penalties for early withdrawal). Finally, she called the bank where she had the most money and simply said, "Can you help me? The rates have gone up since I purchased my CDs. (Certificates of Deposit). Could you raise my rate?" The woman said she'd have to consult her supervisor, and after a few minutes came back on line, and said, "We'd be glad to do that." As Barbara observed, "Just like that. I didn't have to tell them a hard luck story, or plead, or threaten, or beg. I just asked." Two months later, the rates went up again, this time to 7.08%. She asked again, and again got the raise. So, over the next five years, she gained $10,000 more than she would have, had it been left at the lower rate - - simply because she asked. She concludes this story by observing, "The lesson I learned was - - if you don't ask, the answer is always no. The book has 236 pages. And those pages are filled with story after story of how simply asking for what you want, can get tremendous results. I told a friend of mine the thesis of this book; he was flying back from San Francisco to England, his native land, on a coach ticket. After we parted, he went up to the podium and said, "I have a coach ticket. Is there any chance I could be upgraded to either business or first class without any additional charge?" They said, "Wait here." Finally, when the plane was all-boarded, they put him on - - in first class. At no additional charge. Just because he asked. Apparently, what we have stumbled across, here, is some basic principle on which the universe runs. Every Christian knows the mantra: "Ask, and ye shall receive." Other faiths know it too. Apparently it applies to more than just heavenly things. The power of simply asking. I have begun to notice how common this is. I even notice it during elections. Every candidate concludes each speech by saying "I ask for your vote." Just bold and bluntly, like that. I ask you to make a decision. I ask for your vote. Is it yes or no? I know it doesn't sound like there's much difference between that and lesser phrases, like "I'd appreciate your support." But somehow I think there is. We do not say, at the end of the job-interview, "I'd appreciate if you'd consider me." No, no, no. The magical phrase is, "Can you offer me this job?" It is a phrase that demands an answer. Yes, or No. That's the difference. Wherever you are; whatever you do: remember that.